With over thirty-five years of successful work in higher education, Dr. Joan E. Leichter Dominick is an award winning college educator with a professional history in the disciplines of Adult Education and Communication. Dr. Joan E. Leichter Dominick holds a Doctorate in Adult Education from the University of Georgia (1990) and Masters Degree (1975) and Bachelors Degree (1973) in Communication Arts and Sciences from Queens College, City University of New York. As a doctoral student, she was a University of Georgia Kellogg Fellow. Currently, she is Senior-Year Seminar Course Coordinator at Kennesaw State University. She was just awarded her twenty-five years of service certificate at Kennesaw State University on December 2015. 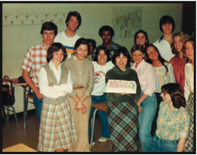 Dr. Joan Leichter Dominick has served as the leader of this academic institutional elective capstone since 1998, having taught the first course in 1997. She designed the Senior-Year Seminar Course during her tenure in the Governor's Teaching Fellowship Program 1996-1997, prepares seniors for their post-university experiences as productive national and global citizens. This seminar is based on a earlier academic version developed in 1990 by President Emeritus Betty Siegel, Kennesaw State University. Since Fall 2015, Dr. Joan Leichter Dominick has been teaching INTS 4498: Senior Seminar in Integrative Studies for the Integrative Studies Major in the Department of Leadership and Integrative Studies. KSU 4401: Senior Seminar was the orgininal capstone for the INTS Major and the template for INTS 4498: Senior Seminar in Integrative Studies. Since joining Kennesaw State University in 1990, she has chaired the Communication Department, won the 1996 Distinguished Teaching and the 1996 Regent's Distinguished Professor of Teaching and Learning at the university. 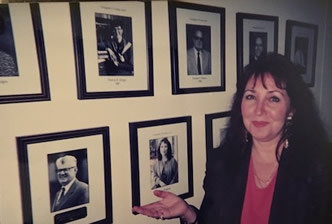 Her academic project for the 1996 Regent's Distinguished Professor of Teaching and Learning award was the design and implementation of a Presentation Technology Center to enhance the technology presentation skills of students across the campus. She collaborated with the Presentation Technology Center facilitators in creating the innovative PTD Pocket E-Portfolio Process Initiative (desktop publishing) for the college students in the KSU 4401: Senior Seminar, KSU 1101: First-Year Seminar and in the Honors Program based on her RACCE (Reflect + Assess + Collect + Connect + Express) College Student Portfolio Process, copyright 2002. She collaborated with the Instructional Technology Department to develop the ITS Web Folio Training Seminar (institutional website). She was instrumental in inspiring the director of the Career Services, who also one of the textbook co-authors, in the creation of the Online Career Portfolio (internet password website). She served on the faculty advisory committee for the OLCP and now in the departmental archivist of this portfolio platform. Dr. Joan E. Leichter Dominick is the co-author and the conceptualizer of The Complete Graduate: A Workbook for College Seniors (Kendall Hunt, Second Edition 2003). 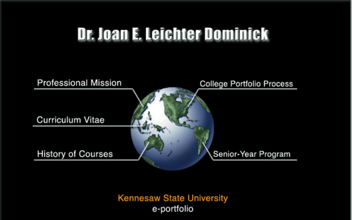 Dr. Joan E. Leichter Dominick was the recipient of The Department of University Studies Distinguished Scholarship Award 2003 and was a semi-finalist for the Kennesaw State University Distinguished Scholarship Award 2003. She has lead academic presentations locally, nationally, and internationally in the areas of student success, the college student e-portfolio process and its integral connection to the discipline of Communication, higher education, and global citizenship. Her academic teaching, scholarship, and service have the all-inclusive academic mission of creating the E-Portfolio: Passport to Global Citizenship, which triangulates student reflection and connection to society for a just and equitable world, the ultimate goal of higher education. 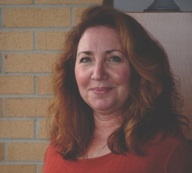 Dr. Joan E. Leichter Dominick is Owner & Founder of The Complete Graduate Resource, LLC. KSU ITS Webfolio: Creating Web 1.0 ePortfolio using Microsoft Publisher - Sid Kemp, ITS author of training manual(developed in 2005). Concept by former KSU 4401 Student & KSU Graduate Class of 2005, Chris Gross. Created for KSU 4401: Senior Seminar - now available to all KSU students.